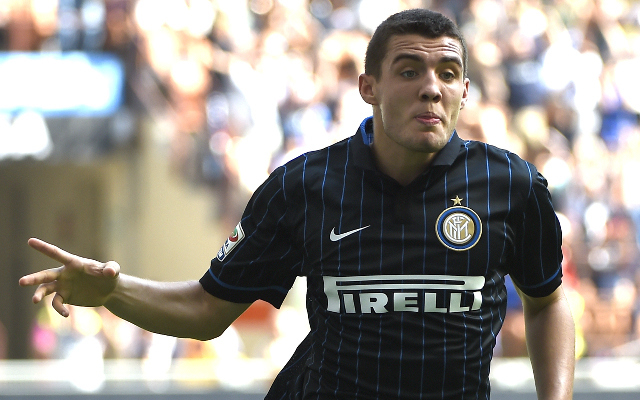 Kovacic told to quit Inter by Srna. Shakhtar Donetsk star Darijo Srna has told national teammate Mateo Kovacic that he should leave current club Inter Milan for the good of his career. Real Madrid, PSG and Premier League duo interested in Watford Aussie wonderkid. The 25 best wonderkids in world football right now. Football Manager 2015 best coaches. This is likely to put Arsenal, Liverpool, Manchester United and Real Madrid all on alert as all four sides have been linked with the 20-year-old in the past. The midfielder joined Inter from Dinamo Zagreb in his home nation in the summer of 2013, but Srna thinks that Kovacic needs to leave the San Siro if he seriously wants to achieve things. “Mateo is one of the best young players in Serie A, but, if he wants to progress, he must go to another club. Inter are far from their glory days,” the Croatia captain was quoted by Goal. Kovacic is regarded as one of the best young talents in European football and yet is struggling to get into the Nerazzuri starting XI under current manager Walter Mazzarri. However, with Inter currently sitting ninth in Serie A the future of Mazzarri remains in doubt in any case, but if the starlet listens to his national team skipper he will be looking to leave Milan as soon as possible. To date Kovacic has played 68 times for his current side and also has 15 caps for Croatia.